Breaking Amish is a TLC reality television show that has had the world captivated since its premiere in 2012. 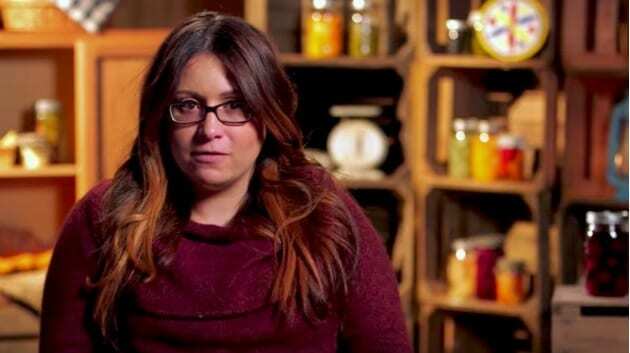 There is something otherworldly and mysterious about the Amish community and TLC was giving the world a chance to peak into this secret world. The show followed five Anabaptistd who move to New York City from their rural Pennsylvania communities. These young men and women were raised in a community that does not value anything modern, and is extremely strict when it comes to their community rules of modesty, faith, simplicity, and order. There have been six seasons of Breaking Amish and its subsequent spinoffs, Return to Amish. The show follows Abe, Jeremiah, Kate, Rebecca and Sabrina. 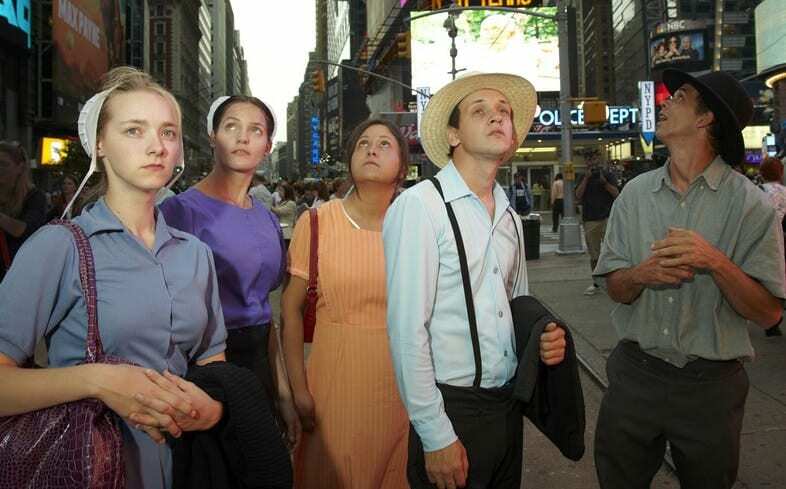 Each of these individuals was raised within the Amish community and moved to New York City to experience life outside of their community, for the whole world to see. Some did very well, while others allowed the outside world to corrupt them in ways that their community feared. While they are supposed to be the most innocent of individuals, over the course of the show, and sometimes just thanks to the internet, the secrets that these individuals were hiding come to the surface. There are marriages we never knew about, pregnancies and children that came out of the woodwork, and psychological issues that these youths face due to the fact that they had no idea what the outside world had in store for them and they couldn’t handle it when it arrived on their doorstep. We decided to go deep into the world of Breaking Amish and find the truth behind the show and its stars, the good, bad and ugly of everything they had been through, since it is now obvious that they are not as innocent as they were made to appear. When Breaking Amish first aired, we were made to believe that Abe and Rebecca had never met before. They said so themselves. However, the lovely internet, where nothing can hide, brought us photos of Rebecca and Abe before the show was even a thing. A mutual friend of the two interviewed with The National Enquirer, and said that Abe and Rebecca not only knew each other before the show, but were living together. Modern technology is not allowed in the Amish community. However, this didn’t stop the cast of the show from using cell phones and other modern devices before the show was in existence. In the beginning of the show, it portrayed the cast getting their very ‘first’ cell phones and showed how foreign it was to them. This was entirely an act, it seems, since they had cell phones in secret when they were Amish. The same goes for driving a vehicle. Jeremiah had driven one before but pretended it was new to him on the show. The beautiful Kate, who is now a model and happily away from her Amish community, had a nasty run in with the law. She was arrested for a DUI in Florida during the first season of the show. The production, of course, did not show that. 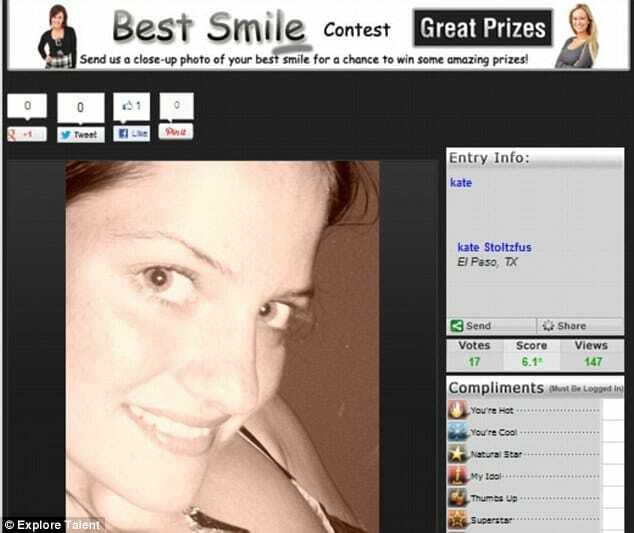 Another thing that happened that no one knew was that Kate sent in modeling photos before she left her Amish community, something she lied about during season one. Jeremiah is the one who constantly provided more and more controversies over the shows duration. Jeremiah’s former wife, Naomi Stutzman, claimed that Jeremiah had a history of domestic abuse. Naomi had Jeremiah taken into custody when he was getting too volatile for her liking. He was arrested on domestic abuse charges and Naomi went to stay in a domestic abuse safe house to be free of him! The shows producers never let it be known on the show itself that Sabrina had been married prior to production! 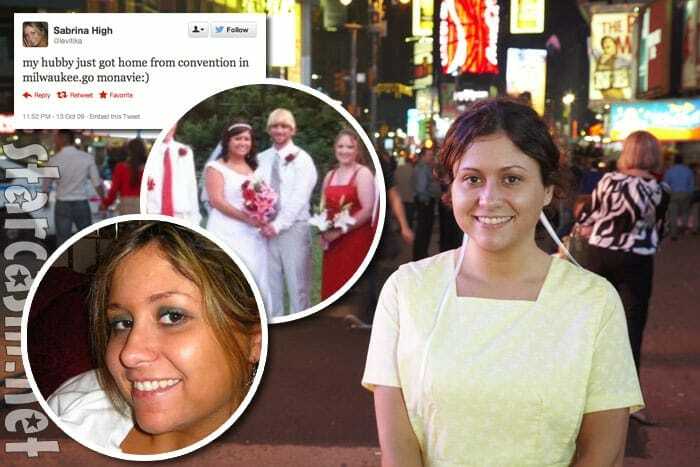 Sabrina, who is a Mennonite, was married to a guy named Delmar R. Burkholder. They were married in July of 2009 in a mainstream (i.e. NON- Mennonite) wedding, raising some serious questions. When Sabrina was confronted about it during the reunion episode, she said that there was a Mennonite ceremony as well. Taking Sabrina as an example again, there was proof that she had several Twitter accounts that were deleted before the show went into production, proving that she had access to social media and technology. Kate also said that they would have an older sibling get them cell phones that they would hide from their community and use when they wanted to be ‘English’ for a day (English means non Amish). Sabrina was the one cast member who allowed the outside world to really take its toll on her. Not only did we learn that she had been married prior to the show, but since coming to New York City, Sabrina had gotten involved in illegal substances. She had been in an abusive relationship with her husband, that lead her to becoming homeless and addicted. 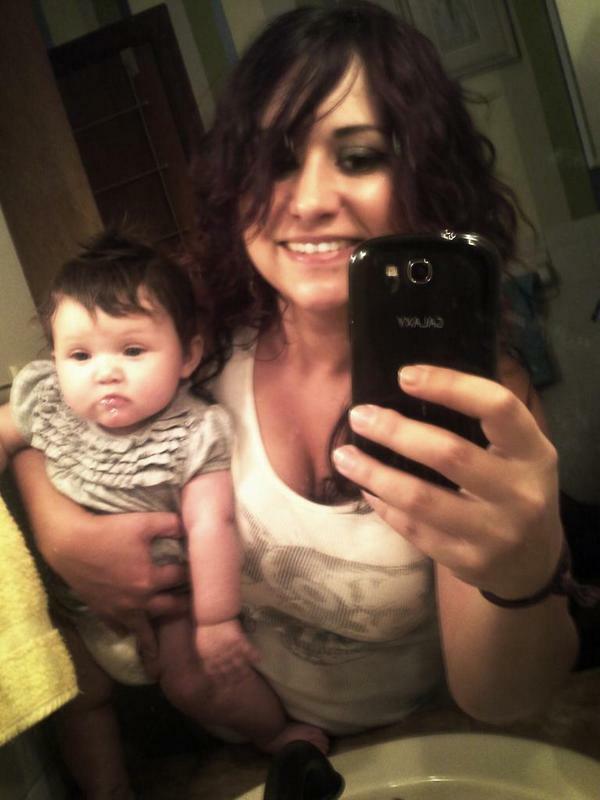 Sabrina had a child with her boyfriend (after her husband), a child she lost custody of due to her illegal substance abuse. She did get help and regained custody of her daughter in 2016. Sadly, Sabrina, already in another relationship, got pregnant again. It was a little while after that she she was arrested for a DUI and possession of illegal substances. She lost custody of her daughter yet again. First we learned of Kate’s arrest, then Sabrina’s, now Abe’s. These youths could not stay out of trouble! Abe had been arrested prior to the show (so earlier than the rest), and had his mug shot all over the internet as soon as his face was known. 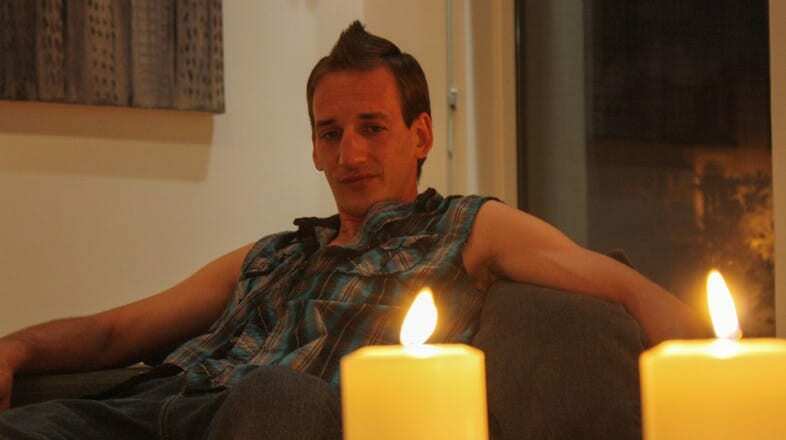 During the reunion episode after season one, Abe said that he had been arrested when he was 18 after going out drinking with friends and getting pulled over by the police. He was arrested due to the fact that he didn’t have a valid ID. If a member of the Amish community decides to leave, they are shunned; that is how the Amish community works. However, it was shown later the show wanted to dramatize the situation for the sake of the show and that they were not all shunned. 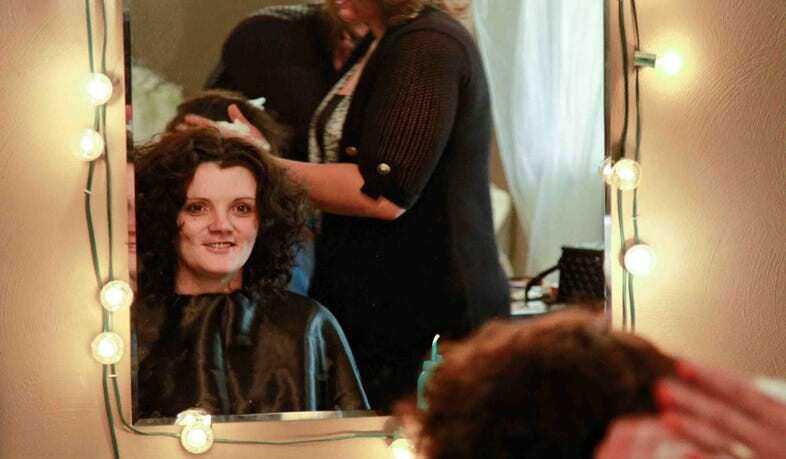 Naomi Stutzman, Jeremiah’s former wife, said that Jeremiah was given two vehicles when he left the community, Kate sees her family several times a year, and Naomi herself was allowed to return whenever she wanted even though she announced that she was leaving the church. It seems that Jeremiah really has a problem. Jeremiah remarried in 2016 to his second wife Carmela. In front of the cameras, the two were the cutest, but it seemed that when they were in private, their relationship was completely different. Carmela had said recently that Jeremiah “strikes her on a regular basis… with a closed fist” and “made several threats to cause [her] harm.” She eventually had him arrested and police noticed the bruises on Carmela’s body as evidence. For a group of kids who were supposedly raised to be the most ethical and pious individuals, they sure like to get into a whole heap of trouble. Andrew was a part of the show for a short while, during which time he also said that he had never used technology before. This was proven as false when deleted Facebook pages were found, which lead people to believe that the show had asked him to shut down his pages so as to create the illusion that he had never been on a computer or social media. In addition to the false idea that Andrew had never touched technology, he had also landed himself in a whole lot of trouble. Andrew had been arrested many times in his life, and in 2014 he was even sentenced to seven months in an institution, seven more months of a substance abuse program, and an additional seven months in a halfway house. 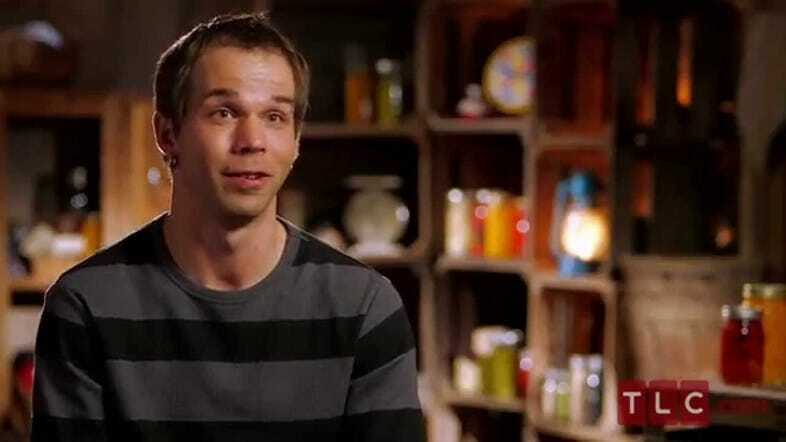 Unlike what TLC and the production wants you to believe, Jeremiah had been out of the Amish community for a long time before the show caught him. Jeremiah’s first wife, Naomi, who has been very candid with the media, had said that Jeremiah first left the community when he was 18 years old. When the show got to him he was well past 30. It was then revealed that Jeremiah left and returned to the community many times throughout his adult life. 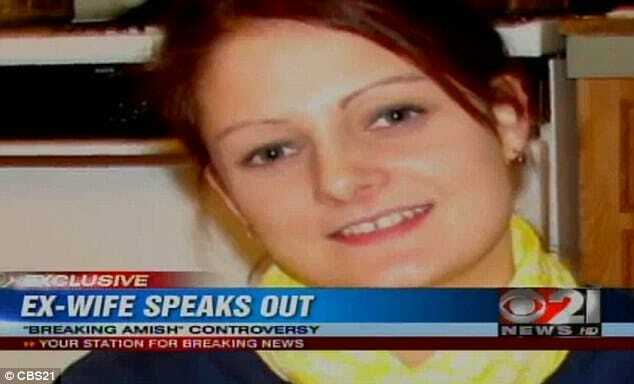 First of all, season 3’s Return to Amish cast member, Chapel Peace Schmuker, who was English and not Amish but lived within the community, had lied about having cancer. The show explained that Chapel’s cancer had been back and she had undergone a successful surgery to remove it. However, Kate ranted on her own social media on how Chapel’s cancer never came back and that it was all a lie. The cancer was made up for the sake of drama! Chapel also had an issue with substance abuse. She had been arrested several times on substance possession charges. In 2015, she was sentenced to two years of probation due to being caught with Valium and heroin. In 2016, Chapel was arrested long with her sister for falsifying a drug test. Today, she is out of jail (yes, she was in there for a while) and is attending AA meetings to maintain her sobriety. 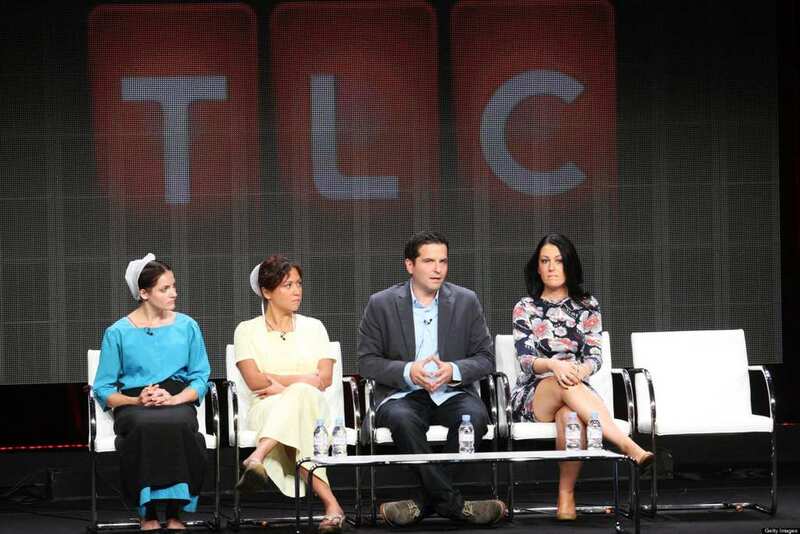 TLC knew that they were about to hit it big with Breaking Amish. Naomi Stutzman, Jeremiah’s ex-wife, was talking to whoever would listen about the show and how the life the cast lived before they were on it. In order to keep her quiet, TLC offered Naomi “whatever she wanted” in order to make her stop interviewing and hurting the show, since they were working on keeping it as real as it could be without someone bursting the viewer’s bubble. In the beginning of this article, we mentioned that Abe and Rebecca knew one another before the show started despite pretending otherwise. Now, not only are the two acquainted with one another, but they have a child together! It’s hard to tell the timeline of everything, since the show had managed to keep this quiet, but if this photo is any indication, they have been hiding a child for quite a while. It was discovered that Abe and Rebecca were together for two years before they married one another. Rebecca was married to someone else when they got together but divorced him and allowed her relationship with Abe to become much more serious. They were married years later and share one child together. So much drama for youths out of an Amish community. 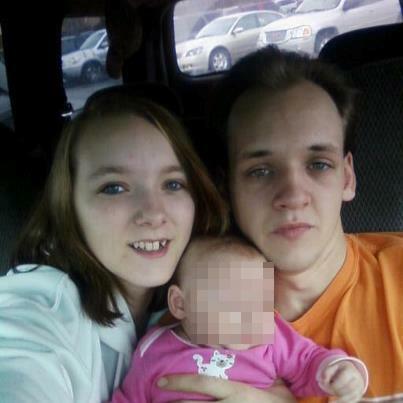 Other than being an abusive husband, which is as despicable as it gets, Jeremiah also has three children! 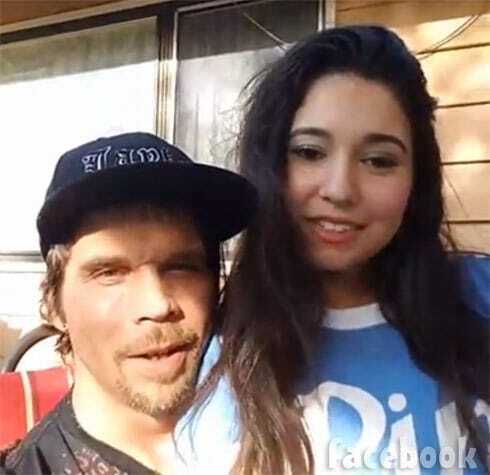 He has two daughters, ages 12 and eight, and a son who is 10 years old. 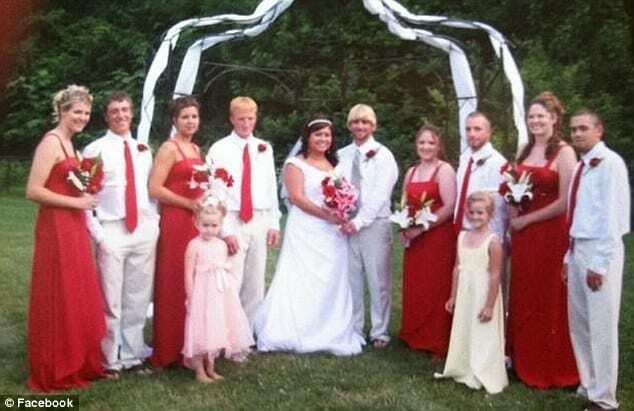 37-year-old Jeremiah has been married twice but his children are from his first wife, the outspoken Naomi Stutzman. 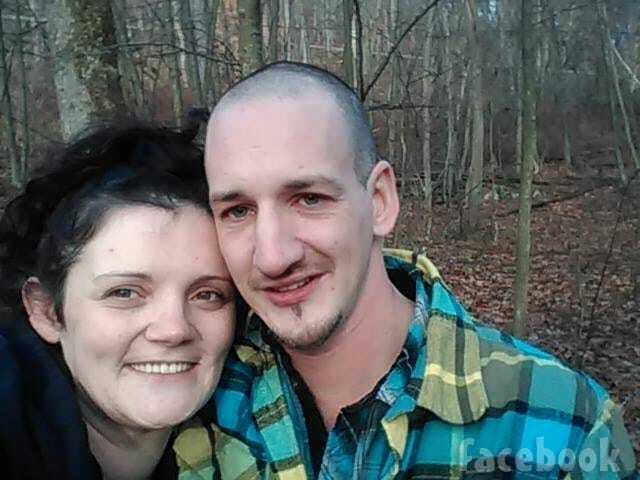 Naomi and Jeremiah were married from 2005 until 2011 and divorced after Naomi filed, citing gross neglect of duty as well as extreme cruelty and incompatibility! 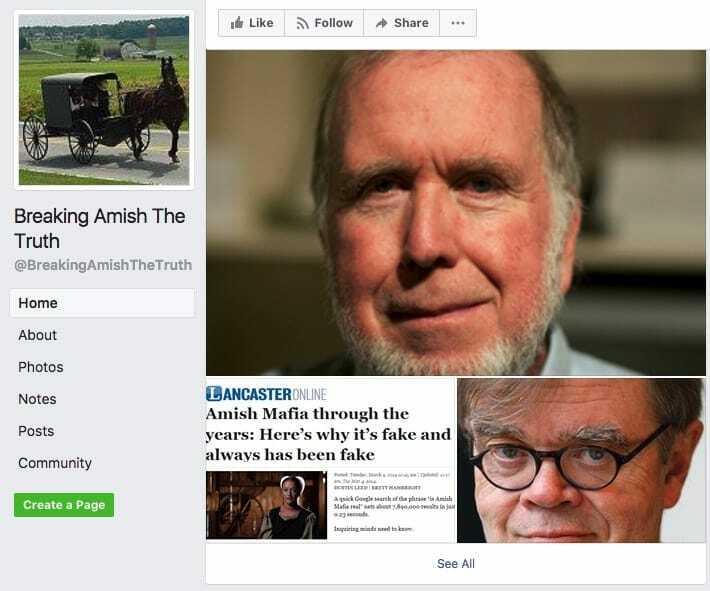 “‘BA The Truth’ was started to provide a respectful forum to document misleading aspects of TLC’s BA and pass on accurate information about Amish and Mennonites.” The Facebook page shows the world of the Mennonite community as well as the Amish one – the real one. They want the world to understand the real people within the community and not take the show as a representative. Kate Stoltz also tweeted that she would cry on the show often because of the production. “Producers keep us in a room for hours and ask the same questions over and over—they’re relentless. If we don’t give them the answer they want, they keep us in there until we cry or give them the answer they want.” Kate said that they would control the storyline entirely. So much for reality. So how did the world start to learn about the lies of Breaking Amish? A former Amish blogger, X Amish Atheist, (aptly named) started writing about the show when he recognized Jeremiah Raber on the show’s first season. This blogger dug up Jeremiah’s past – his divorce, his children, his abuse – everything. The blog and the Facebook page are both dedicated to showing the world the truth behind the show. Kate is a very successful model in New York City. She had always wanted to model and work in fashion. She is a fashion student and has started her own clothing line, which has a goal of sustainability and quality, something she learned from her Amish roots. Kate has also been in Maxim magazine list of beautiful women and in campaigns for Spiegal, Gypsey Sisters, and Bella. Abe and Rebecca are married and have two children, Jeremiah and Carmela are still together, despite her abuse allegations, Kate is a model and designer in New York City, Sabrina is fighting to get custody over her two daughters back, and we are left wondering if their lives are ever going to be the same now that the whole world knows who they are.